ocking Seatpost Collar or Saddle Lock for saddles mounted with a vertical bolt, with a quick release style key. 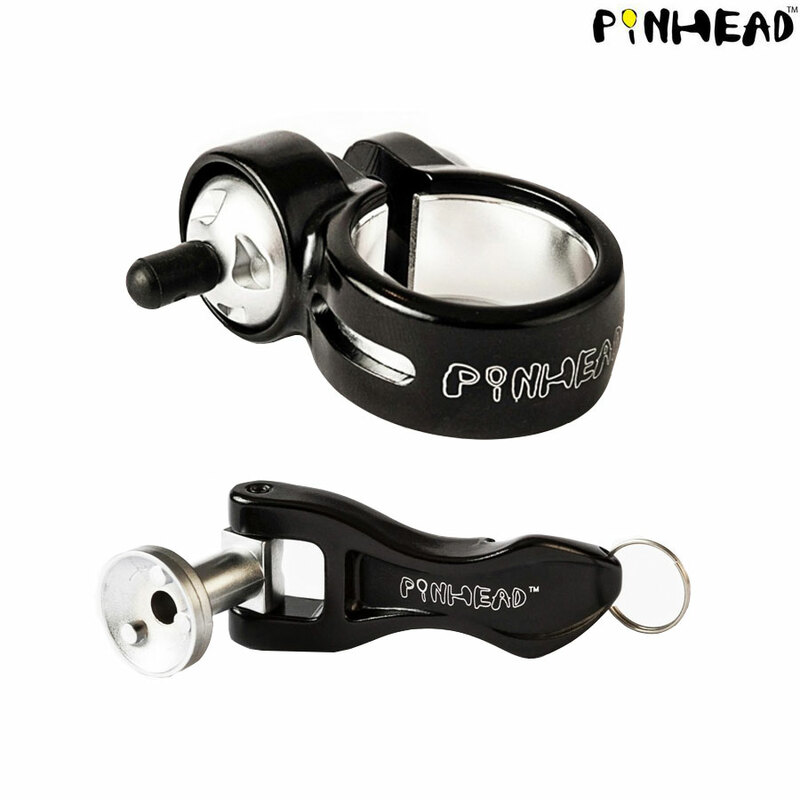 Unlike a traditional lock, with Pinhead you can now protect specific components on your bike from theft. The unique Pinhead key system means that, unlike competitor locks of this type, they cannot be removed with a simple screwdriver. The Convex technology on Pinhead locks protects them from removal by hammer, pliers, picks, universal socket tools, grinders and bolt cutters. Once installed, the lock (which can be used to lock either a saddle or a seatpost) remains permanently on your bike, even when you ride. When used to lock your saddle, the locking collar prevents access to the rear vertical bolt of the seatpost. When you need to adjust your saddle or seatpost, your Pinhead key lets you do this quickly and easily. Pinhead locks use a special coded key that comes with each lockset. The key is ergonomically engineered to install and tighten your locks, and also serves as a bottle opener. Each key is different, and comes engraved with a nine-digit code so it can be replaced if lost. With your key code, matching locks can be ordered to protect your other components or other bikes. Protected by Pinhead's lifetime warranty. Can I use this for the Brompton telescope seat post? Is there all necessary tools there to use it? Unfortunately this would not be compatible with Brompton's telescopic seatpost as it uses their own design so is not compatible with aftermarket options.